Ok ive been on Accutane for a month, ive taken antibiotics in the past and they have worked. At one point my face was really clear for about 4-5 months. Recently after stopping antibiotics for about 2 months my acne started to come back, so i visited my dermatologist and they suggested accutane. The put me on 20mg and its been a month MY ACNE HAS NEVER BEEN THIS BAD IN MY LIFE!!!!!!!!!!! it has dried up all my skin and looks horrible and my face really hurts the worst thing is i have 7 exams all this month and have to go into school, im embarrassed to even show my face. I have a appointment with my dermatologist next monday on the 12th and i have a exam on the same day WTF is even life lol The first picture is 3 months ago around january or February my face was so clear no its FUCKED!!!! 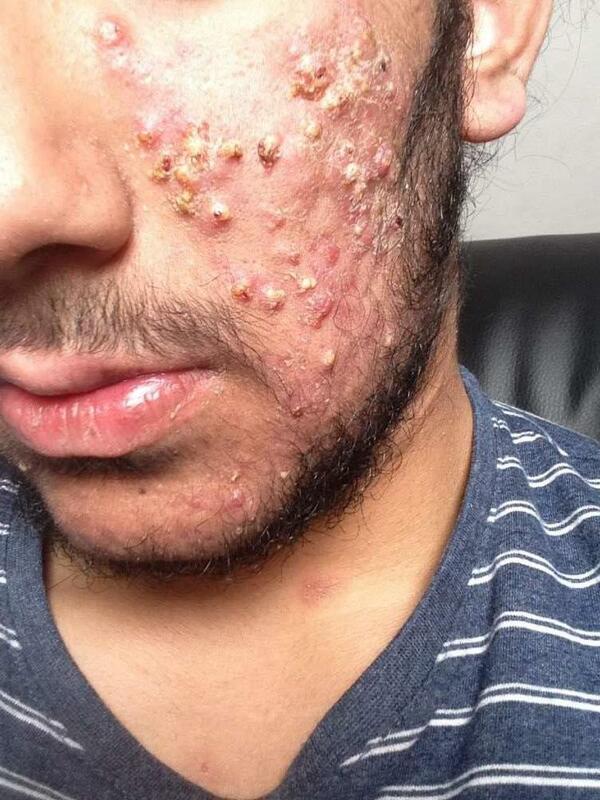 This picture was today its been exactly 1 month on accutane now my face is officially fucked!! !